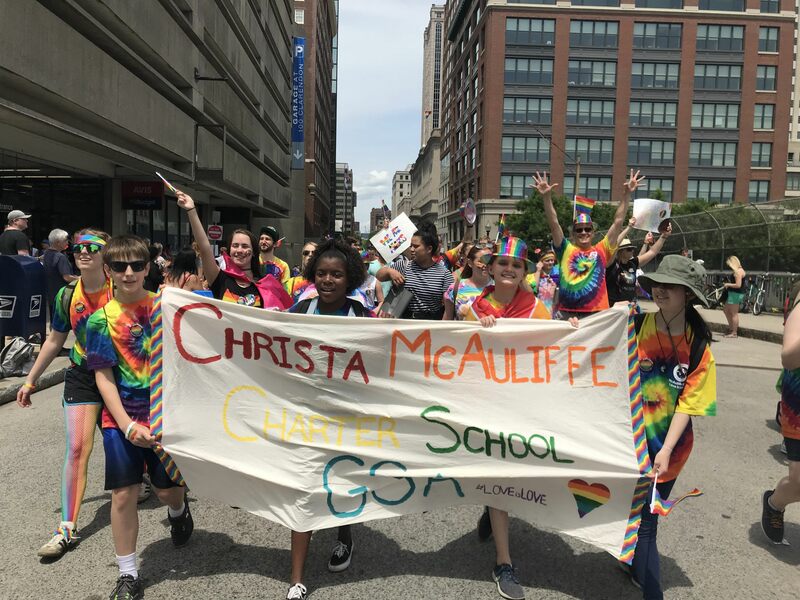 At McAuliffe, we believe it is essential to ensure that all are welcomed here, no matter one’s background or identity. 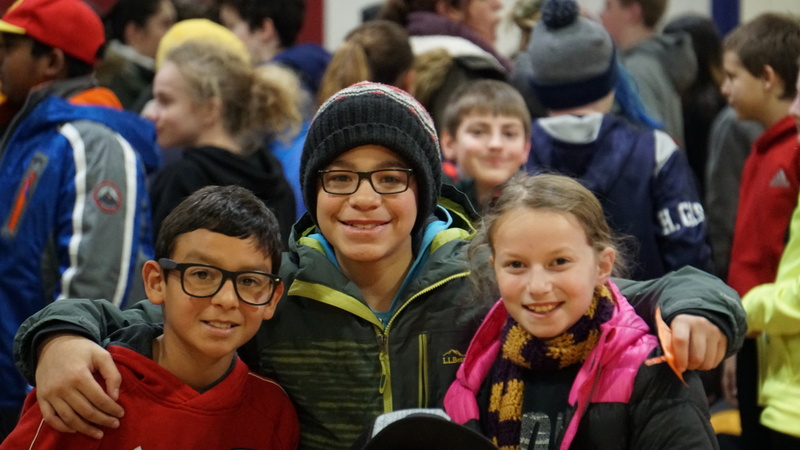 Our Bullying Prevention and Intervention Policy ensures that all members of our community feel welcomed, accepted, and safe. Additionally, our Code of Conduct outlines scholar, parent/guardian, and employee responsibilities and rights to help ensure a positive community. Below are some groups and structures that promote a safe and welcoming environment at McAuliffe. Crew: Crew is central to a scholar’s sense of belonging at McAuliffe. 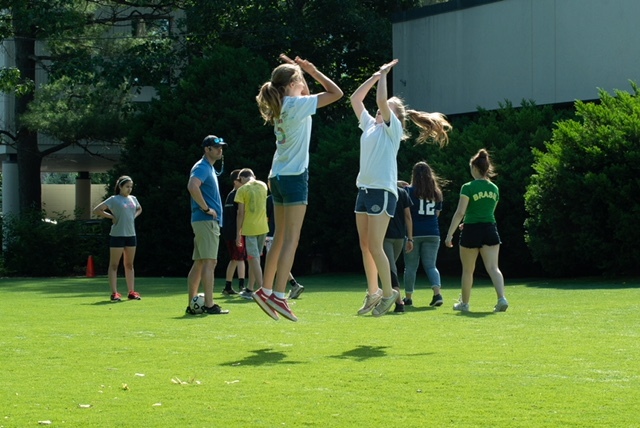 In Crew, scholars develop relationships with 10-12 of their peers through daily check ins, team building activities, and service projects led by a faculty leader. Additionally, scholars learn to track and articulate their academic progress, prepare for their scholar-led conferences, and set academic and HOWLs goals. Crew also provides scholars with a faculty advisor who is the conduit between the scholar, their teachers, and their parent/guardian. By problem solving when difficulties arise and employing restorative practices when members of the community are harmed, scholars learn to be accountable to the community and our shared values. We have found that the more scholars participate in reflection and fix-it planning, the more they develop decision-making skills and become more empathic and ethical members of the community. McAuliffe’s aim is to continue to build our collective skill to employ restorative practices both proactively and responsively as well as to engage scholars and parents/guardians in collaborative problem solving. This priority has been named in the school’s 2018-2023 strategic plan. 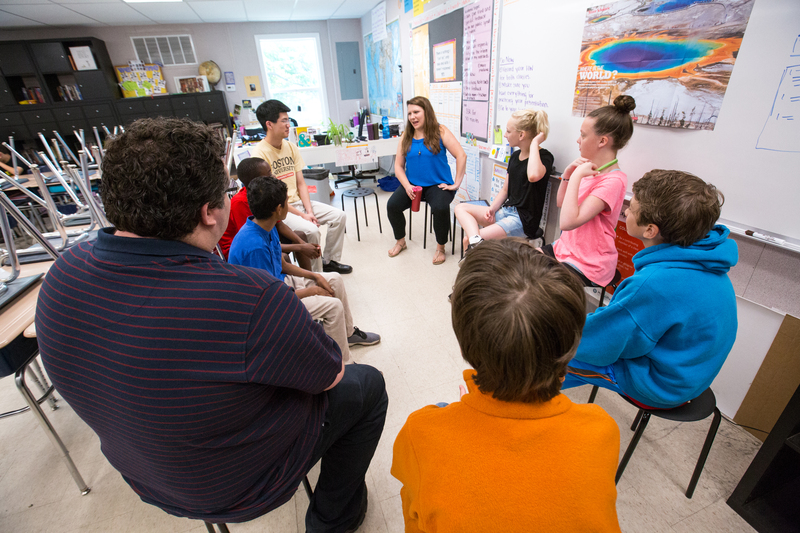 Social Thinking: ​A subset of McAuliffe scholars participate in social thinking classes during the school’s Lab Intervention/Enrichment block, which meets three times per week. Social Thinking language and principles have also been integrated into the classrooms in order to assist all scholars who may need help developing social skills. Gender Sexuality Alliance (GSA): The GSA is a group led by scholars and faculty advisors to create a safe space for scholars of all sexual orientations and gender identities. Anyone is welcome to the meetings where members discuss, learn, educate, and take action on topics relating to the LGBTQ+ community and its allies. 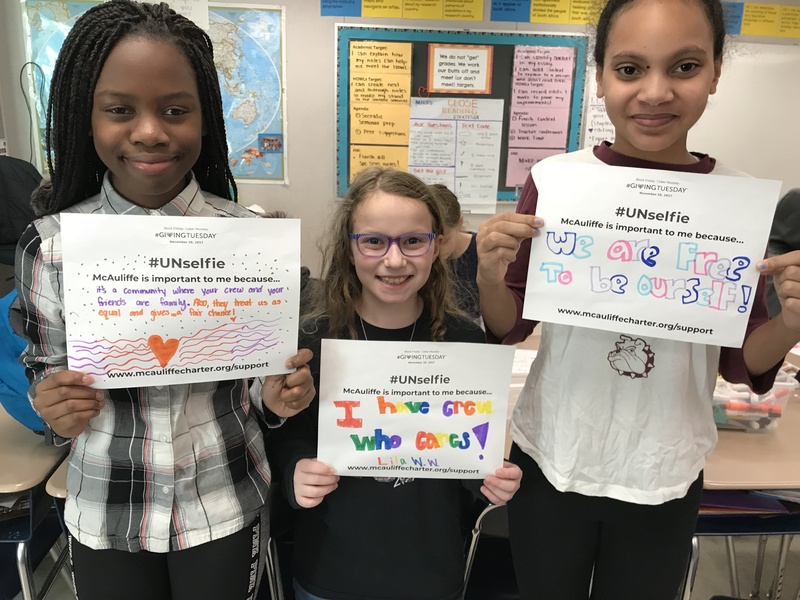 Multicultural Club: During the 2018-19 school year, scholars and teachers will start a multicultural club that celebrates, lifts up, and amplifies all of the diverse perspectives and backgrounds that we have here at McAuliffe. 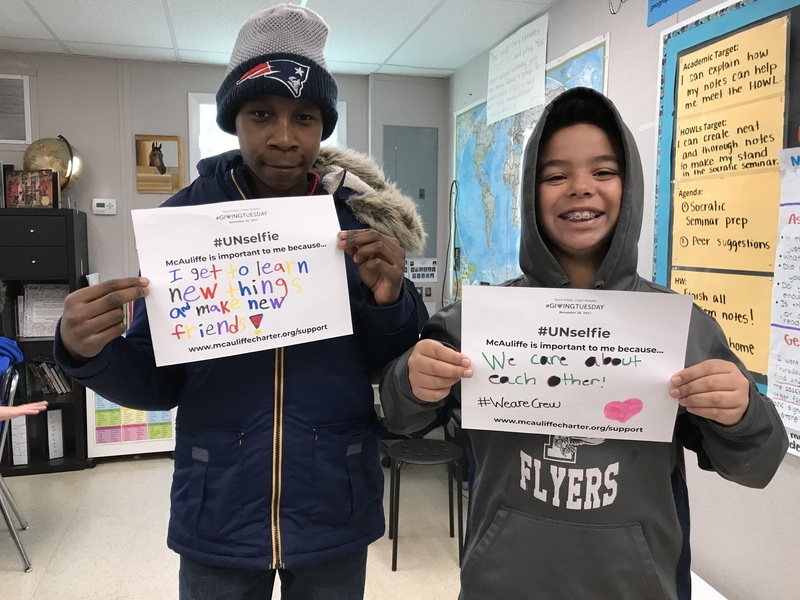 The aim is for scholars involved to help make McAuliffe a place where all scholars feel celebrated, included, and connected. Grade-Level Meetings (GLM): McAuliffe’s Grade-Level Meetings take place once per month. 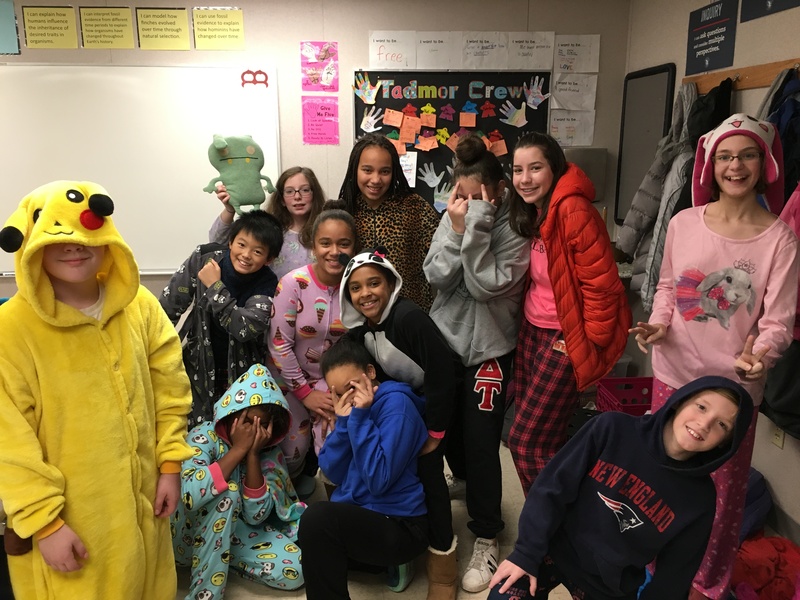 During GLMs, the scholar Culture Team facilitates a meeting that includes community building activities, distribution of Special Thanks and Recognition Awards (STAR awards), and address areas that are needed for growth. Topics such as celebrating individuality, including others, and being kind to everyone are frequently brought up during the meetings. The GLM is also used for scholars to engage with their peers in a prosocial way. Community Meetings: School leaders, the Culture Leadership Team and the Student Culture Team take turns facilitating monthly community meetings at the MetroWest YMCA. Facilitators typically engage the community in an interactive exercise that emphasizes one of the ten EL Education design principles (e.g., Responsibility for Learning, Empathy and Caring, The Natural World). Community meetings are another forum to recognize members of the school community by presenting HOWLs Awards, HOWLs Improvement Awards, and Content Area Awards (selected by each teacher to give to a scholar who made substantial gains in a particular subject) after each of the three Trimester reporting periods.